Oglaend System develop, manufacture and sell multidiscipline support solutions for cable management, electrical, instrument, telecom and piping to the following industries worldwide: oil and gas, infrastructure, shipbuilding, wind energy and other industries such as water treatment and clean room. 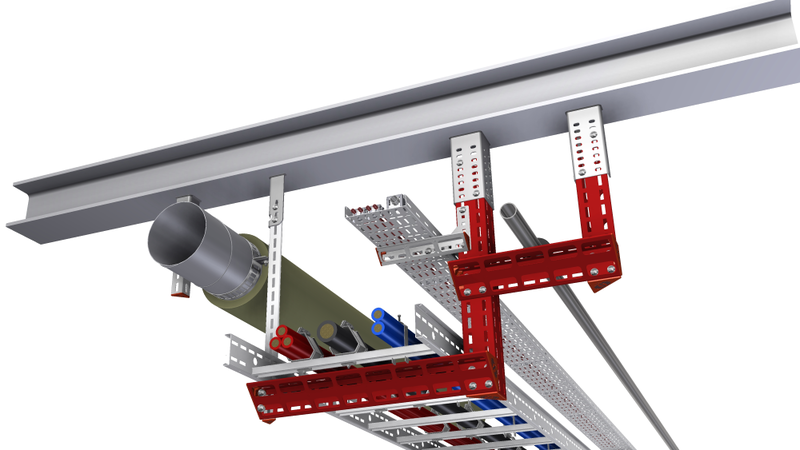 "P4D lets us fully utilize the potential in our Mekano® channels design and structure in a precise and efficient manner"
IMPETUS has supported Oglaend System with a template called P4D to efficiently set-up simulations for the Mekano® support system. The system allows for efficient set-up of simulation models for IMPETUS Afea Solver and comes with an automatic report generator. P4D delivers a comprehensively detailed report for each load combination in a pre-approved, easy to read format following industry standards. 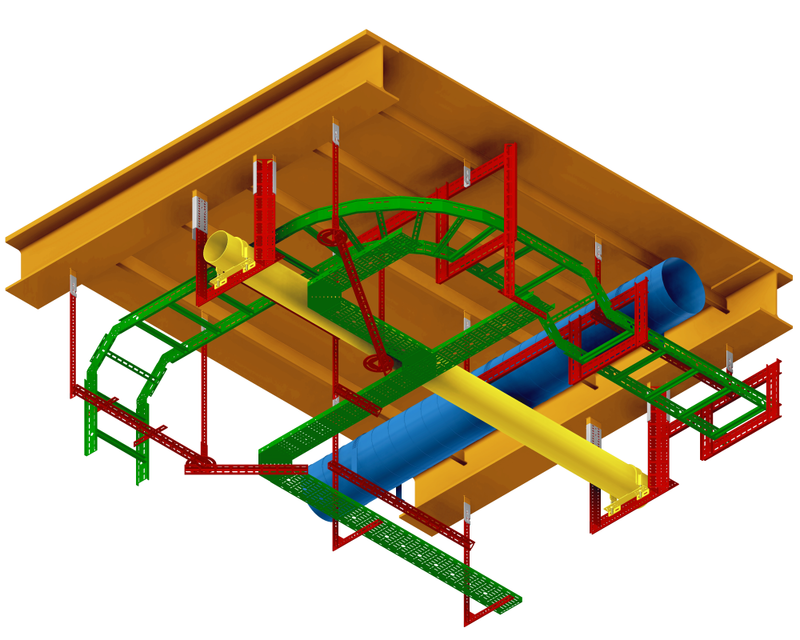 Using bolted solutions and the MultiGrid® system, the same support structure is available to all support disciplines, allowing significant reduction of design, engineering & installation time and installed weight. The key is to combine piping, electrical, HVAC, and instrumentation on a flexible and adjustable support platform. P4D is tailored to provide this support platform with precise structural knowledge. The final product, P4D, is now established as an in-house tool for Oglaend System and used to deliver pre-engineered solutions. 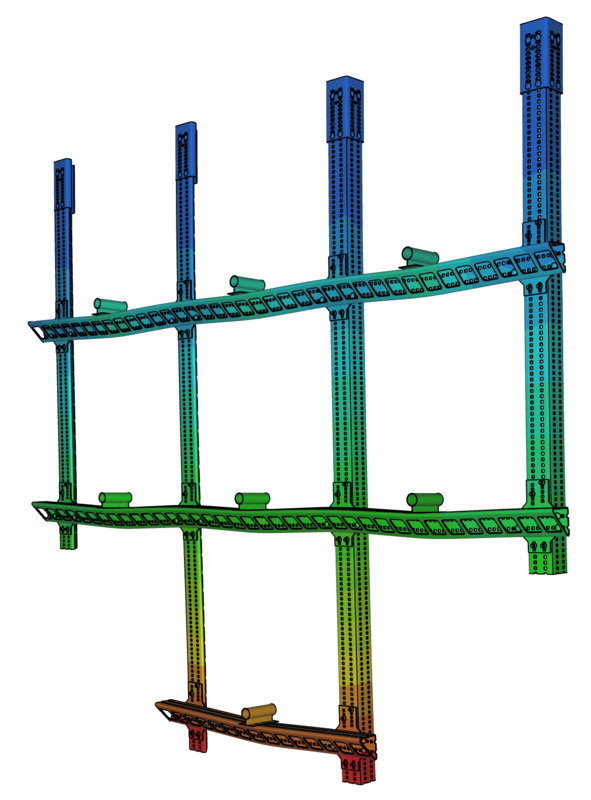 In the equipment support industry marked by its high rate of copy-paste engineering and conservative approach, P4D challenges established practices by introducing a safe and efficient way of providing advanced finite element analyses. With the help of Impetus and P4D, Oglaend System, traditionally a provider of steel equipment, is now delivering ever more sophisticated engineering value.